(Dec 3/10) - Nineteen more reports, for the July-August 2010 session, have been added to "Field Notes by Cave". More info can be found on the News page. (Jul 19/10) - The following links lead to compilations of field notes for separate caving expeditions, with those for the last few years not posted as such (apologies, but you'll find many of them in the full list lower on the page). The chronological order is from most recent to oldest. The more recent notes are in a standard format and submissions of notes, which are welcome and invited, are requested to utilize a similar format. Links to notes for individual caves follow the expedition list, further down on this page. (Mar 1/07) - The notes for the last two expeditions are still being worked on (Oct 2006 and Feb 2007). The June 2006 expedition has now had notes for eight of the visited sites posted, with more to soon follow. 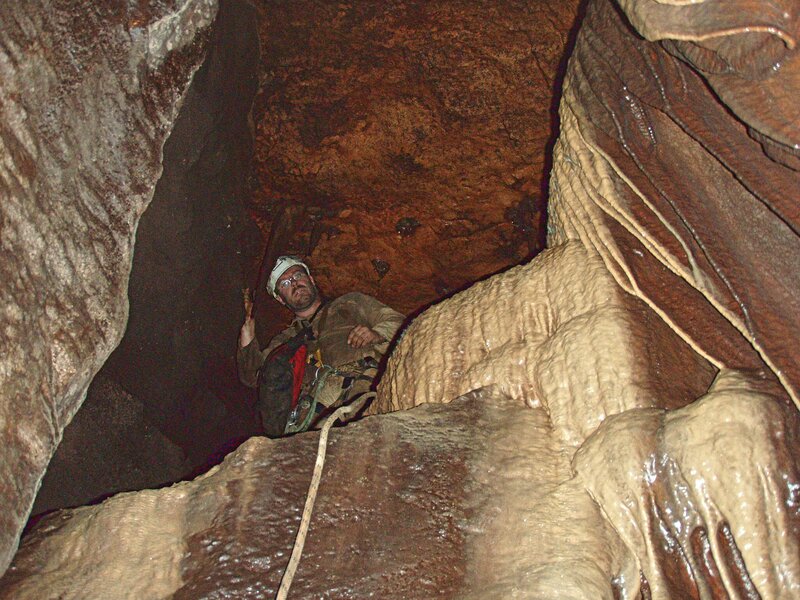 The following links lead to collected field notes for individual caves. It is a work in progress and not all of the systems found in the expedition notes, or all of the notes for each cave, are to be found in the list. The numbers (1), (2), etc, indicate the position in the list of deepest caves on the island.